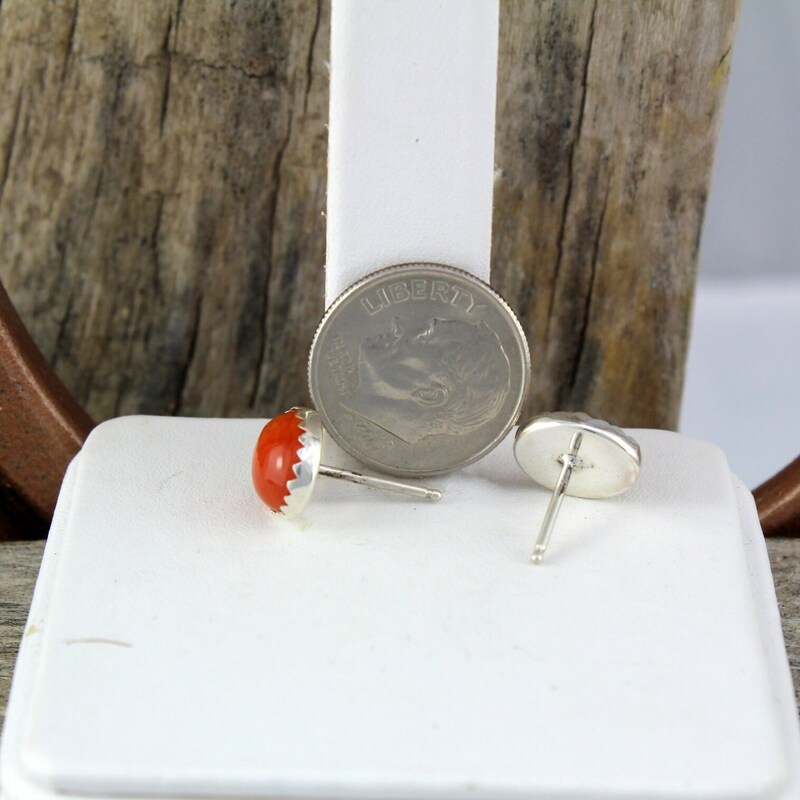 Silver Earrings - Carnelian Earrings - Statement Earrings - Boho Earrings: These stunning sterling silver post earrings feature two natural orange Carnelian stones. The Carnelians are 10mm X 8mm (3/8" x 5/16"). The included large backs are 7mm (5/16"). 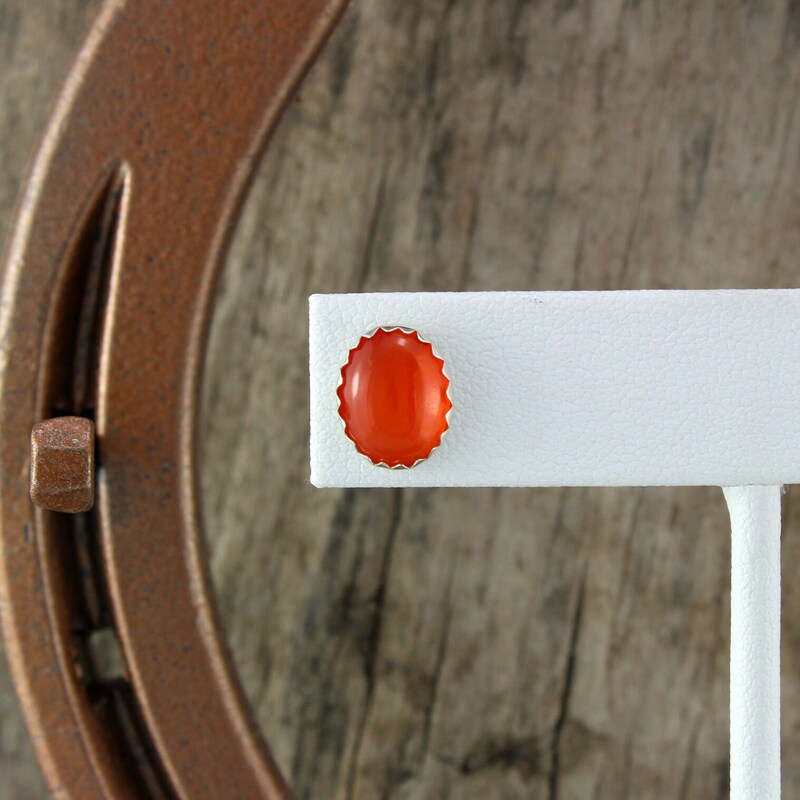 The Carnelian stones were cut and polished in our workshop in Montana and we love them. 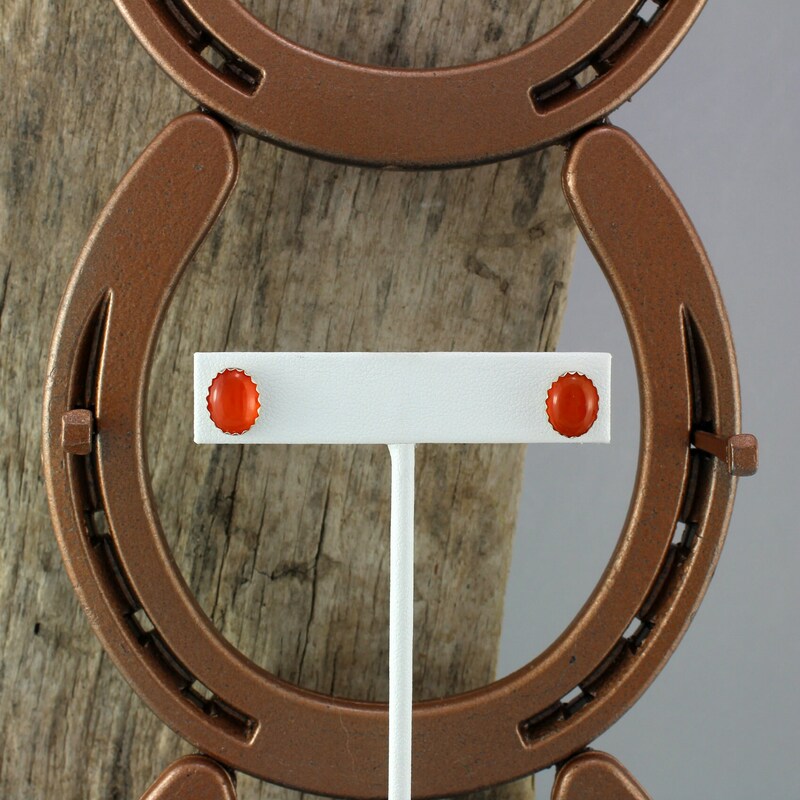 These stones have a great orange color that seems to glow from within! 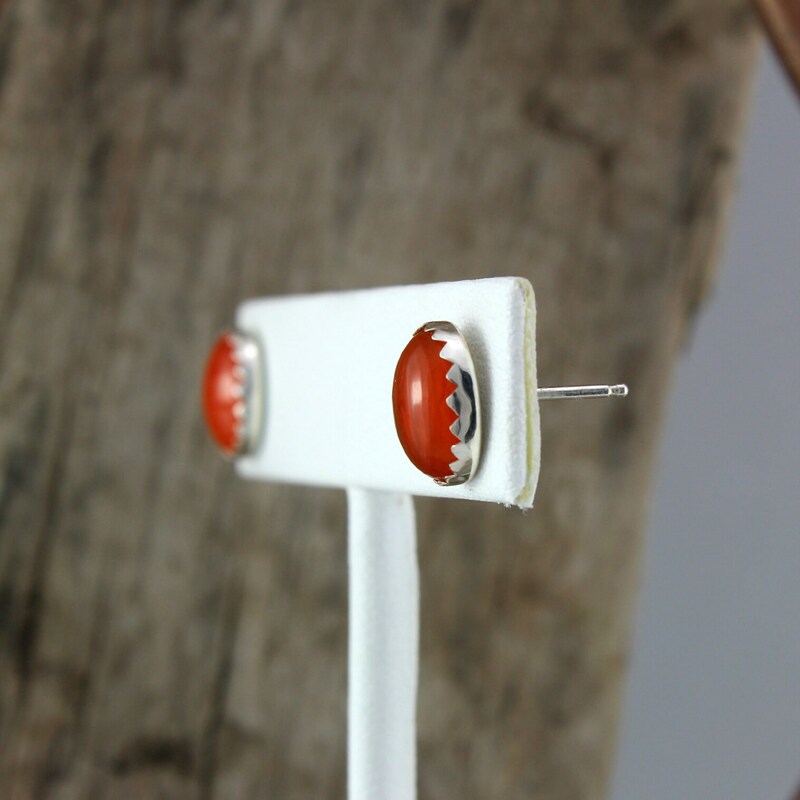 We made the sterling silver earrings in our workshop and they perfectly display these beautiful stones! 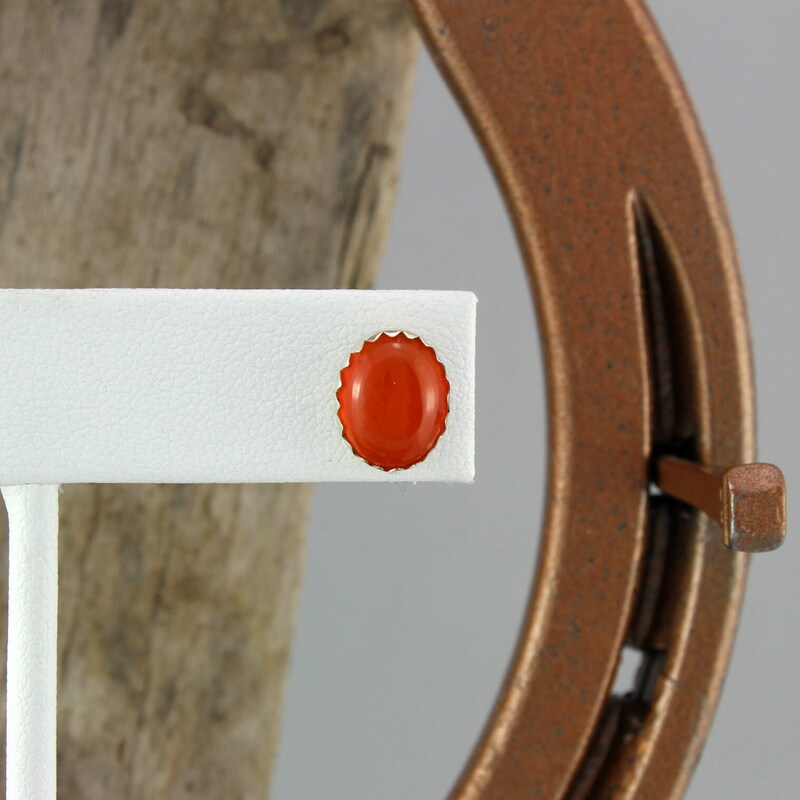 This is a gorgeous pair of earrings that are being offered at a great price! 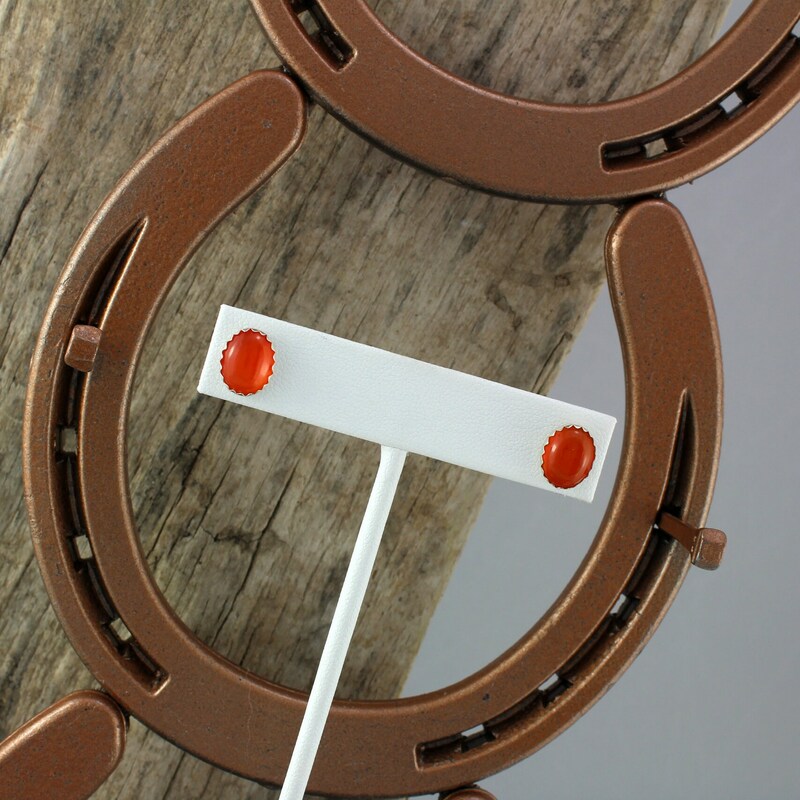 They would make a great gift idea when paired with one of our pendants. 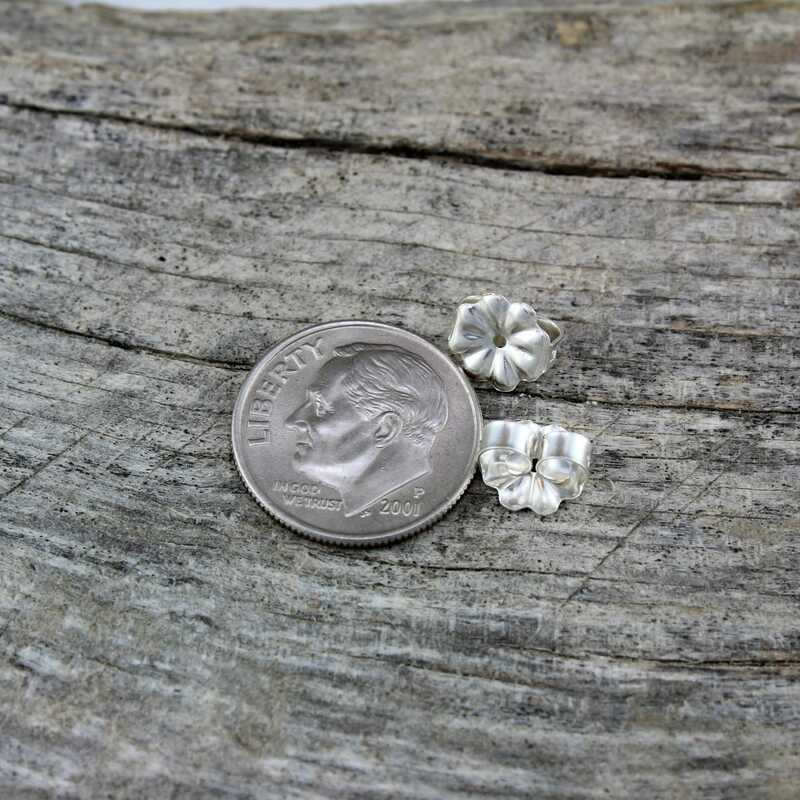 As with all our earrings, this pair will ship in an elegant gift box for no extra charge!